In a sad region where acceptance and commitment of human trafficking prevails, restoration of sense of community in every space is the key. The breaking of everydayness of vice begins with subversion of ‘business’ area where the unfortunate events occur, and the safe space of community and family. By forming a coexistence condition of the two separate places, one will realize the irrationality of respecting family on one hand, and violating others with the other. To undermine the boundary, we propose a media-wall that works in tandem with surveillance cameras. 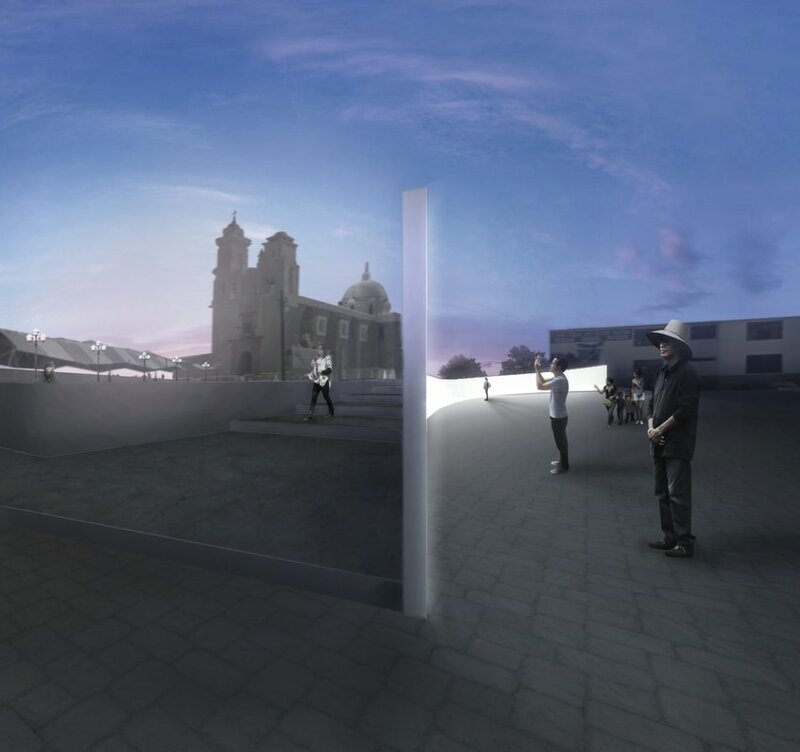 Atrocities that occur throughout Tenancingo are recorded on the surveillance cameras across the town and are transmitted to the Media-wall in the square. By exposing the footage, people become observers and actors. The images are open to everyone, eliminating one single Panopticon watchman. On surface, the media-wall will reveal the matrix of “to see and to be seen”, protecting the innocents. But on a deeper level, it will expose the absurdity of allowing the vile acts so close, and being a member of community simultaneously. The long media-wall sits between the church and the square. It delineates both elements, acting as both a boundary and a connector. 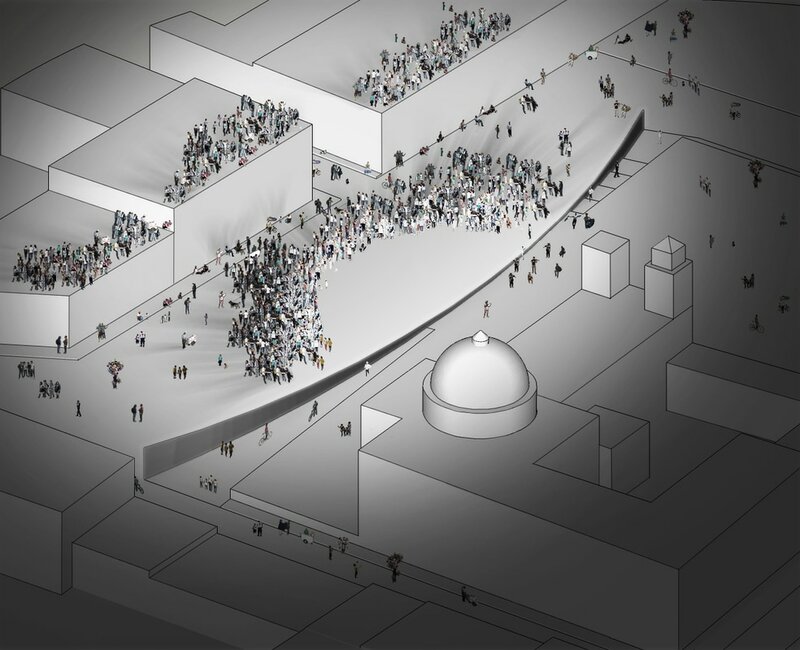 Two new accesses from square to the church are designed along the wall, forming a stage to the square in the center. The slight inclination of the media-wall adds a sense of enclosure to the square, forming a focal center enabling more activities. The media-wall will act as a giant screen on occasions like World Cup Finals, or act as a lighting disco ball on local festivals, helping to form a healthy consensus among the residents.